Cohen Law > Trademark > Grand Theft Auto 5 Trademark Infringement with Speedo? With Grand Theft Auto 5’s release all gamers are excited. But who would of thought that GTA and Speedo would get into a trademark spat? One of the most highly anticipated video games of the year, Grand Theft Auto 5, recently released an online trailer. The trailer spread like wildfire, and one apparent detail of the new game may cause a big headache for Rockstar Games, the maker of the iconic and very popular racing game. 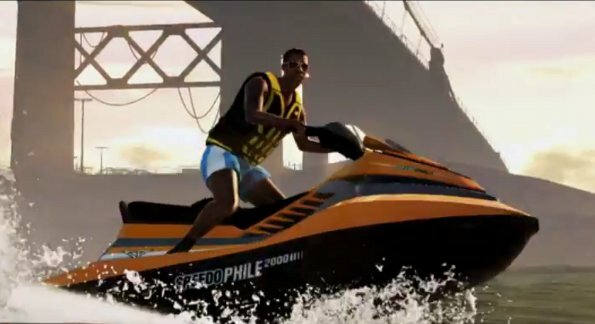 That detail is the word “Speedophile” printed on the side of a Jetski, looking something like a logo.